At HoeNalu we have already received some models of the new Starboard Pro 2019 range and we can assure you that they will not leave you indifferent. This year we find very notable changes in the most surfing range of Starboard. Different sizes and a quite important renewal of the shape that affects most of the design, from the nose trimmed to the channels in the tail, through the reduced edges and by a flatter stance. The Tiki brand, and its team of riders, therefore make a lot of improvements in the SUP Starboard Pro 2019 boards, in order to achieve even better performance in all types of waves. In this post we will give you a review of all the novelties offered by the range, and that we have been pleasantly surprised. The Starboard Pro wave board is a safe bet for any rider who practices SUP surfing with a certain level, and who looks for an option that allows to reach a maximum performance in each session. As we have said, the change in the Starboard Pro is considerable compared to those of the previous two seasons. The measures, in terms of length, have been cut, making generally more agile boards when facing radical maneuvers. 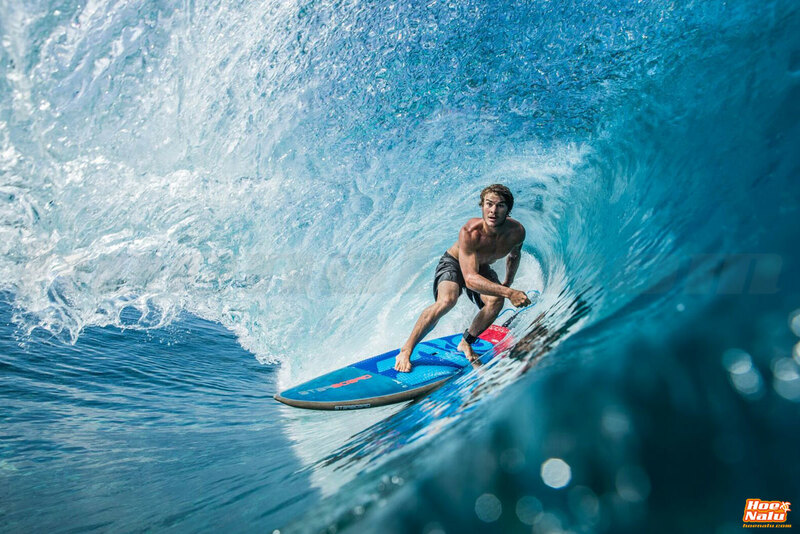 The Starboard design team has launched a proposal based on the design of the Hypernut, which gives good results in waves, but adapted to the classic surf shape, following the indications of the Starboard Pro Team led by Zane Kekoa Schweitzer and Sean Poynter . The Starboard Pro Starlite Technology: As in previous years, the Starlite come with the rails reinforced in carbon innegra, which are characteristic of this finish. As new features we find a reinforcement inside the foot area made in Australian pine of 0.6 mm that offers greater resistance to impacts as well as increases the stifness of the board. A multilayer fiberglass reinforcement is added to provide greater strength to the whole of the board. Internally it has three stringers of fiber in the models of more than 10' to avoid breaks when the waves are bigger or when we hit the board. 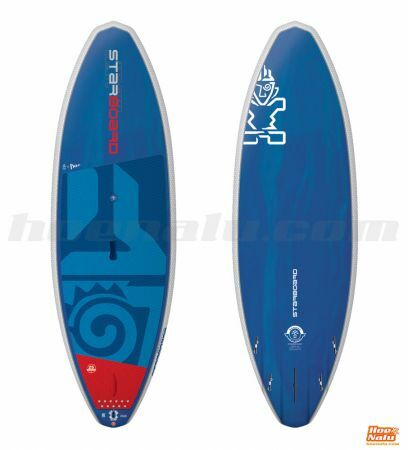 It has an EPS core designed for each board obtaining the best weight-rigidity ratio. The boards assemble recycled EVA pads following the philosophy of respect and conservation of the environment that Starboard has been implementing for several seasons. 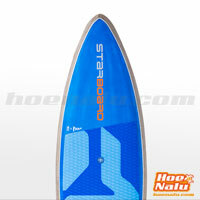 The Starboard Pro Blue Carbon Technology: The Blue Carbon Pro is the premium construction for the Tiki brand boards. They stand out for their minimal weight, as well as for being manufactured through a process totally respectful with the environment. This construction is based on balsa wood grains that are arranged vertically inside the sandwich structure, connecting the upper and lower faces with millions of vertical pillars in the shape of honeycomb. This high density layer offers an incredible resistance to impact and stress that the board can suffer over time. Rails use unidirectional natural linen so that having the fibers aligned in one direction, hardens the board and prevents possible breakage. The core and the fiber wrap, as well as the pad, are similar to Starlite. The Starlite boards are recommended for the majority of riders, since their price is consistent with the high quality of the product, while the Blue Carbon is reserved for riders who want the maximum benefits in waves since they are boards that reduce a little more than one kilogram the weight of the previous ones, although this reduction of weight implies a price increase of almost double. The nose has been drastically cut by resulting a shorter outline that makes the board feel more compact while being manageable in the turns. This has allowed reducing the curvature between the nose and the tail, so that the boards are now more stable despite being shorter. 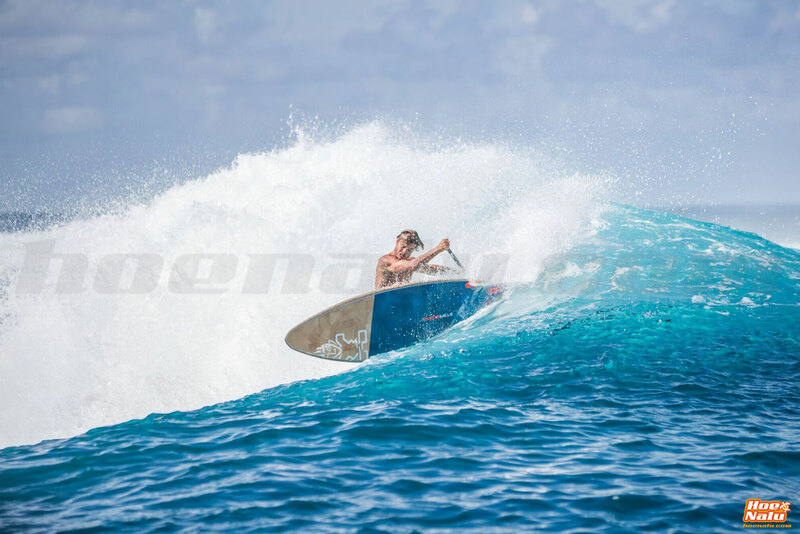 From the nose we go to the rocker of the board, which is gradual, without a great curvature, obtaining a combination of amazing speed and maneuverability, allowing to surf any wave, even in choppy conditions, while avoiding the nose dives in the take-off. 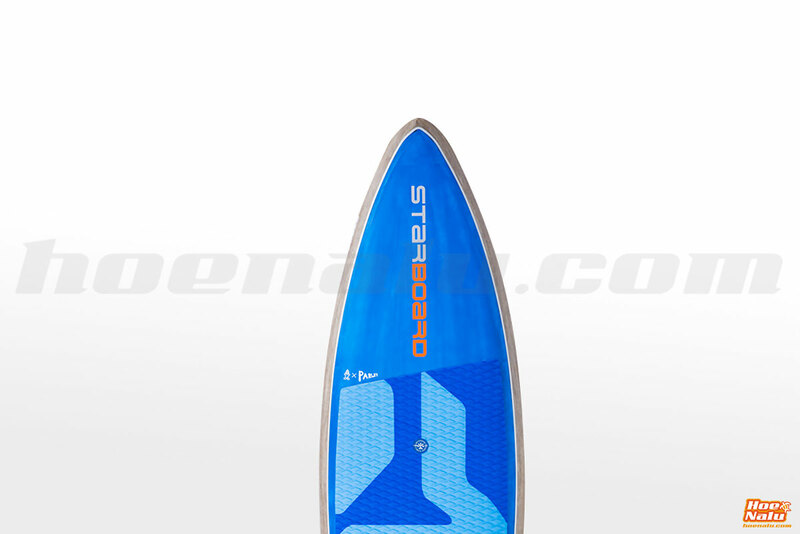 This new design allows to offer a flatter deck and therefore more stable, which is appreciated especially in choppy conditions, which in turn has allowed to reduce the profile of the edges, making them sharper, so it is easy to drive the board, since a small pressure with the feet on the rail, allows to modify the direction when surfing, so that the control and the speed of rotation are ensured. As we said, the rails are reinforced in carbon innegra to have greater protection in one of the most sensitive areas of the board. We have written about the new flatter stance that the Pro 2019 has, and under which runs a monoconcave bottom that facilitates high-speed driving and control, allowing a quick side to side change and helping the surfer to change the direction of the board. The V bottom is extended to the fins, which are set close to the rails, so that the grip and directionality are implemented, even in the most closed maneuvers and radical tricks. 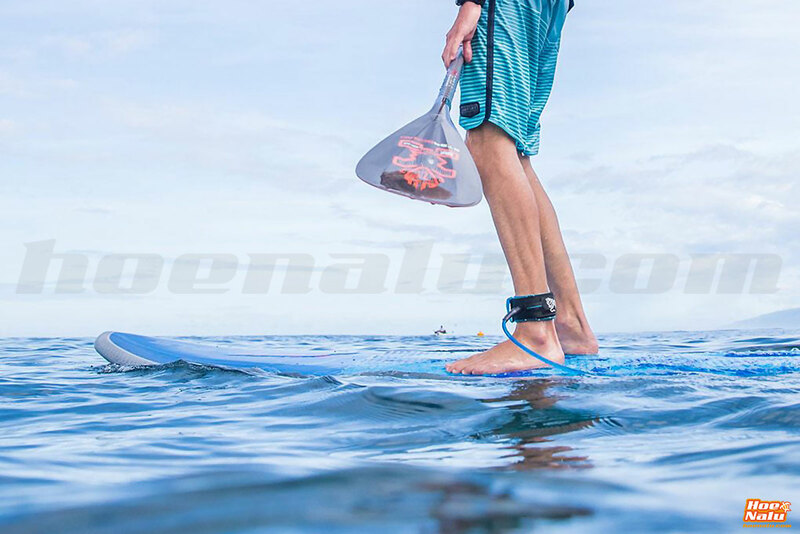 We arrived at the tail of the Pro, which has also important changes, especially the channels that the Pro has this year, and also inherit the technology applied in Hypernut, where they have shown to improve the speed, the grip and driving especially in radical maneuvers, thanks to the shape and position of these channels, which are located close to the fins. The shape of the tail helps to turn, keeping the board in the right position while surfing. Another of the qualities of this new tail is that it allows you to make a late take-off, thanks to its great response, when you demand the maximum of it. Finally, we reach the fins. All the boards of the Pro range assemble the Balsa Core fins, made in Bio Resin that Starboard has been using in its premium boards for its hardness and lightness properties, according to the flex they need to performance correctly in the waves. The fin set consists of a central fin of 120 for the models of less than 8' and 140 for the larger ones, accompanied in both cases by two side fins of 4.5". The Pro can be set in Quad or Thruster configuration depending on the user's preference and the conditions of the waves. If we talk about specific measures, the most versatile and recommended for the majority of surfers are the Pro 8'3"x29" and the 8'10"x29" in the regular and XL version, since they allow, in the case of first, advance in your surfing technique and progress to more complicated maneuvers, and in the case of the second, they are very recommendable boards to start in paddle surfing if you like the waves. Starboard rider, Marco Gribi, tested the Pro 8'3"x29" and commented that "the board accelerated much quicker on the drop allowing the board to release from the water sooner. This simply allows the rider to starting initiating the turn much sooner and starting to setup for the next move. The earlier speed is then controlled through the top turn with the channel bottom providing more grip so that power can be pushed through the tail. Even though the board is a touch shorter and has lost a couple of litres it feels similar in stability to previous versions". Ollie O’Reilly is one of the important men in the design of Starboard boards, as well as a surfer of proven experience in waves around the world, from the United Kingdom, his born place, to Thailand, where he works in the development of the boards of the Tiki brand. About the Pro 8'10"x29" Ollie told “The new 8’10” was much better in performance over the previous 9’0” model. The board was loose if you wanted it to be through turns, yet so easy to push off the bottom with speed and power. I had so much more fun and excitement generated from the channeled tail & lower volume rails. We surfed until sunset with grinning smiles, it was an easy and obvious winner!”. For the largest one, the Pro 8'10"x29" XL, we have the opinion of Agung Surya Putra, a big surfer who says that “the XL with the added volume from the thickness in the standing area makes for an ultra stable but high performance wave board. 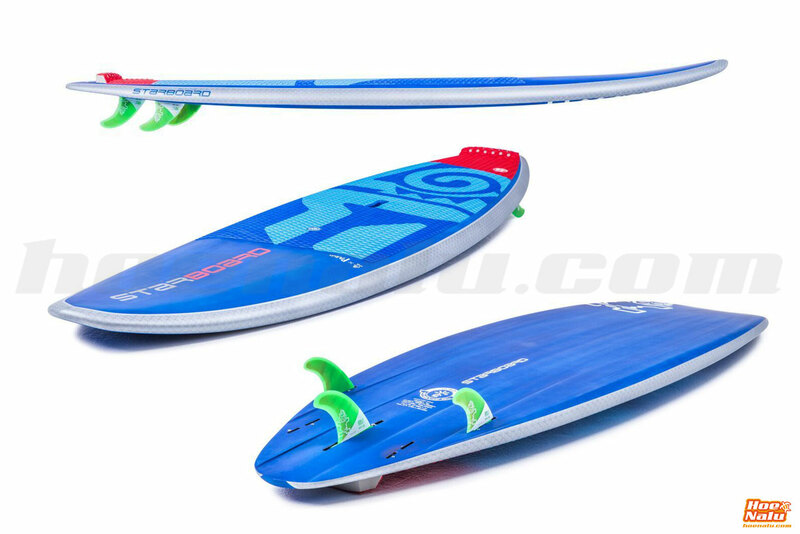 The board catches waves easily and is reactive when linking top to bottom turns. 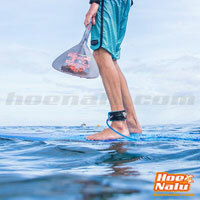 At +90 kgs, this board lets me save energy from the added volume so I can spend longer out in the waves!”. Although these are the three boards that, according to our criteria, best suit the needs of most riders, here is a complete comparison table with the features of all the Starboard Pro 2019 range available for this season. We all know that a picture is better than thousand words, and if it's a video, it's even better. So, to finish explaining the changes and improvements that this year offers the Pro range, here you have this Starboard clip in which you can also see the boards in action. 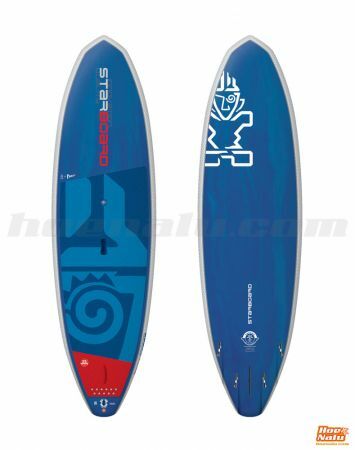 Finally, in HoeNalu, we already have the first Starboard Pro 2019, in size 8'3'' and 8'10'' made in Starlite technology available. If you are interested in another model, you can contact us to do your pre-order. We advise you to request your board with time, especially the smaller sizes and the Blue Carbon construction, since availability will be limited. And if you have any doubt about which option is the best for your needs, you can request information at HoeNalu. We will be happy to help you!